When position becomes paramount for your investment property, being close to major facilities is a big plus. 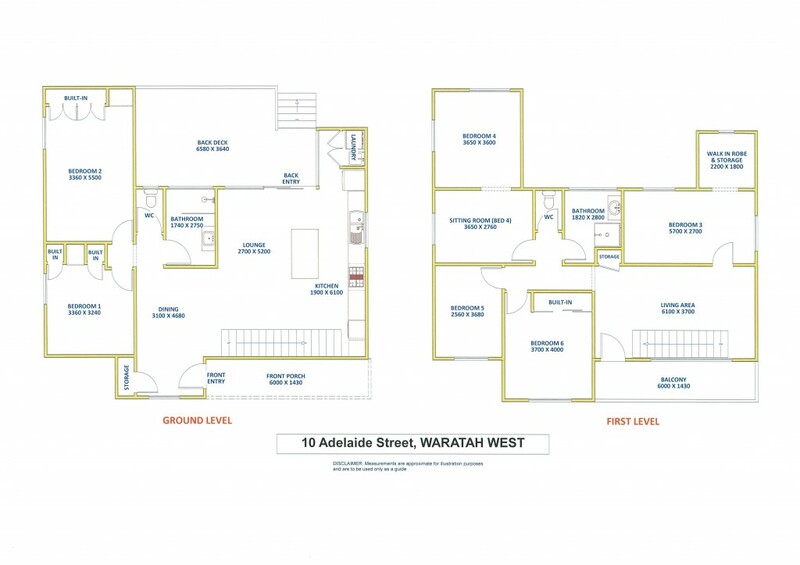 This home has six/seven bedrooms with two bathrooms and a modern fit out with easy access to Newcastle University and Waratah Hospital. The home is a two storey timber and tile with pleasant street appeal. A front porch and an upstairs east facing front verandah plus rear entertaining deck area provide further extensions to living spaces. Presently the property is leased to University students who enjoy the quiet ambiance of the neighbourhood. The open plan design suits the student lifestyle but it would also be easy living for a large family home. Kitchen facilities have been upgraded with modern appliances and the added bonus of gas cooking, open benches and generous cupboard space. There are full size bathrooms downstairs and upstairs with a separate W.C and European style laundry. Room for entertaining is available from the large lounge area through large glass sliding doors to the open deck overlooking the private back yard. All bedrooms are double size with full furnishing that suits student living. Kitchen and other living areas are also fully furnished which will be included with the sale of this excellent property. Rent returns of $920 per week are being achieved from this investment renting by the room but there is also the option of leasing the property as one large home giving the buyer multiple opportunities. Set on a near level 613 m2 block, clear yard access, sewer connection to the rear with good drainage. The property could suit a granny flat build which would be subject to NCC approval. To view this property please contact exclusive selling agent Allen Reece on 0409 814 400 or email sales@reecerealty.com.au.